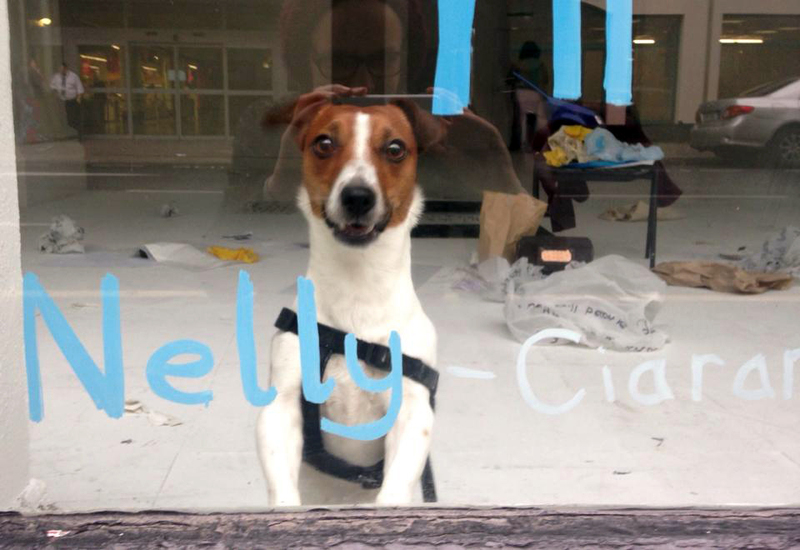 Thanks to Mary Conlon for the photo of Nelly posing with her name. This entry was posted in Uncategorized and tagged Art, Ciaran Nash, Limerick, Nelly, Ormston House, Prequel Programme, street, street line critics, writing. Bookmark the permalink.